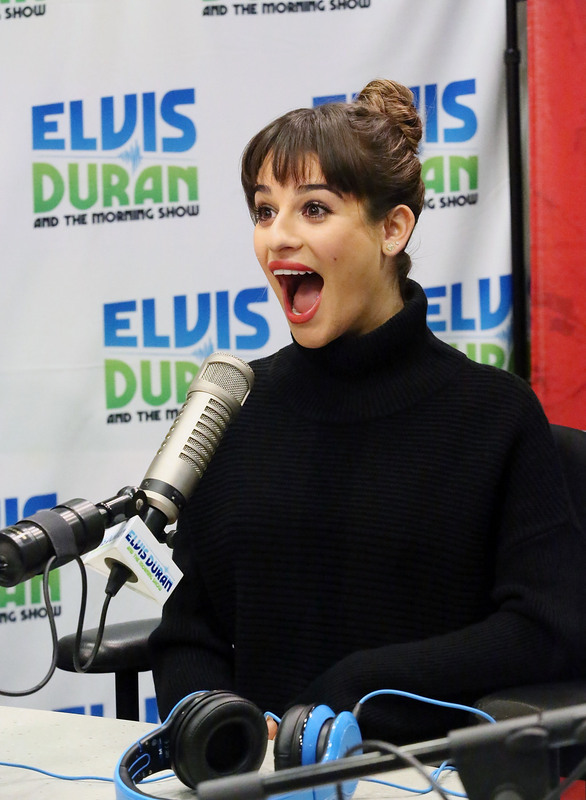 Glee's resident belter extraordinaire, Lea Michele, just released her third single and title track, "Louder," from her debut solo album, according to Billboard. The actress and singer, who we've been paying close attention to since the death of boyfriend Corey Monteith, told Billboard: "It's a song that, no matter what, I can play in my car with the windows down. But at the same time, I feel like it shows off my voice as a singer, which is really important to me, because that's what I do. We hate to say it, but all of the tracks sound kind of…safe. We first got wind of Michele's album with the release of her first single, "Cannonball", followed by "Battlefield", and now "Louder". While there is no denying that the former Broadway star has a killer voice and trained technique that far surpasses a majority of the musical talent in Hollywood, the three singles fall a bit short in showcasing the singer's full potential. Let's face it: anything Michele sings will sound entirely flawless, so there is no dispute there. The three tracks thus far definitely inspire top-down dance parties in the car, which fulfills the goal she expressed to Billboard. But, that's pretty much where it stops. The singer's vocal range spans over two octaves (have you heard her sing Barbra Streisand's Don't Rain On My Parade? ), so there is plenty of room for some dynamic vocal stylings instead of the same two verse then chorus bopping synthesis. As well, Michele seems to want to show of her voice just as much as we want to hear it, so hopefully she keeps her promise to Billboard and to us. With the rest of the album set for release in March, it's possible that at least one or two of the tracks are reserved to display Michele's louder star quality. Here's to hoping.